Like any code based platform, there are times when developers will need to debug their code in order to test the functionality of a custom Bric. Blocs and its API are designed with the aim of making the process of debugging 3rd party code as streamlined and efficient as possible. Blocs has a built in developer console that makes it easy to log and debug the issues a developer may encounter when creating a custom Bric for Blocs. The developer console can be accessed via the main menu Developer > Developer Console. To post a debug log to the console, use the debug API call. Blocs has a built in feature that lets developers quickly reset a custom Brics state back to its initial (add to page) state. 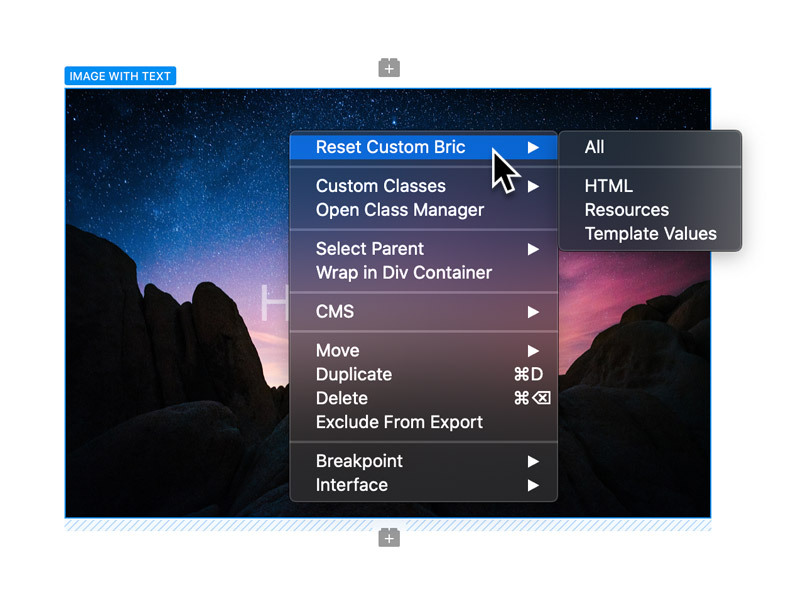 This option is useful if a developer makes changes to the HTML content of a Bric as it will flush the old data from a Bric that is nested in a page and will replace it with the latest version of the Brics default HTML. This reset option can be accessed by right clicking any custom Bric and selecting Reset Custom Bric from the custom Brics contextual menu.